Kathy and I woke up bright and early on Friday because we wanted to get to BEA right as it opened at 9:00. We were invited to a Scholastic Backstage Pass Event and I couldn't wait to go. Not only were R.L. Stine and David Baldacci supposed to be there, but Sonia Manzano, Maria from Sesame Street, was too! I loved Sesame Street as a kid, and having the opportunity to meet "Maria" was definitely going to go down as one of my 2015 BEA highlights! The Scholastic Backstage Pass Event had a nice breakfast setup including fruit smoothies, fresh fruit, bagels, and muffins; and Kathy and I were starving! As we were in line for our food, I could hear "Maria" talking and exclaimed to Kathy, "I hear her and she sounds just like Maria!" I know it sounds weird, but this was definitely an exciting moment for me. After Kathy and I talked with David Baldacci for a few minutes, who by the way is the nicest man, we were introduced to Sonia Manzano by none other than Andrea Davis Pinkney. I gushed and probably embarrassed myself, but Ms. Manzano was so gracious. She even asked for a picture! It didn't turn out well because of the lighting, but it's MARIA! After the Scholastic Backstage Event, Kathy and I hit the floor again and managed to do some damage with books! I have a one box limit plus whatever I can carry on the train so I was trying to be selective. We planned to ship around lunchtime and I already knew I was in trouble. I ended up setting aside quite a few good books that wouldn't fit. We did have another meeting planned for Friday. It was with the folks at Big Honcho. I have worked with Big Honcho for a number of years, and I love visiting with them at BEA. Notice I said "visiting" because that's exactly what we did. We talked briefly about books over some Starbucks drinks, but mainly ended up talking about Broadway shows. 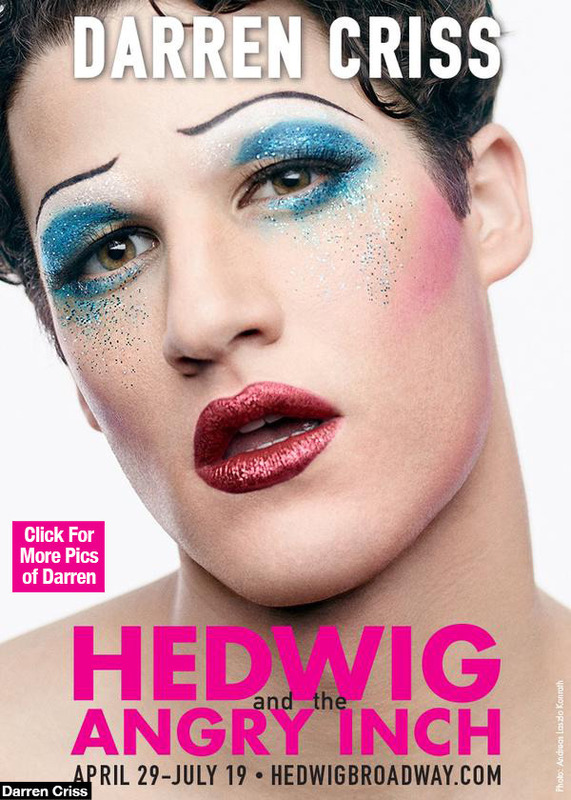 In fact, I ended up using TodayTix to score "cheap" seats to Hedwig and the Angry Itch for later that day. 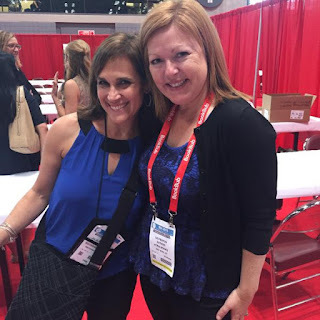 At 2:00, Kathy and I attended what is one of our all-time favorite parts of BEA -- the BEA Book Group Speed Dating Session. This was the 15th anniversary of Readinggroupguides.com so they had special giveaways. I was lucky enough to win a boxed set of teas -- and I never win anything! There were 27 publishers there and about 200 attendees. It was crazy... good that is! Thankfully, we were all presented with a copy of the Powerpoint slides which listed every book featured because there was no way we had time to hear every presentation. This event is the single best place to learn about and collect books! There is just too much to even discuss in this recap post. I'll share more with you when I feature "The Books of BEA 2015" later next week! One book I specifically want to mention was featured by Henry Holt/Metropolitan Books. It's called BEING MORTAL by Atul Gawande. The publisher brought copies of this book for every attendee... because it's that important! That's never been done before! My husband actually listened to this book last month and he totally agrees. He says it's one of those books that every person should read and talk about! It's life-changing! I can't wait to read it even though I know it won't be easy! As if the BEA Book Group Speed Dating Session wasn't enough, Kathy and I still had one more party to attend. This one was hosted by Atria Books and it was a Blogger Meet & Greet. It was a small party but so much fun because we had a lot of one on one time with authors and publicists. I ended up talking for quite awhile with Liz Fenton and Lisa Steinke, authors of the newly released book THE STATUS OF ALL THINGS and best-selling contemporary romance author Colleen Hoover. We stayed at the party until the lights started blinking -- the folks at Javits obviously wanted us out of there! Unfortunately, we left right as the lines for the hotel shuttles were crazy long. We waited for at least a half hour and then were told that the buses would be stopping at 6:00. Kathy and I reluctantly left the bus line to begin our walk (with heavy bags of books!) to the subway. As soon as we left, the bus arrived. You wouldn't believe how quickly two middle-aged women can run when they have to! Kathy and I arrived back at the hotel, dropped off our books and freshened up before heading out to dinner. We went back to the Academie Barilla where we ate last year to get a quick bite of pasta before heading to Hedwig and the Angry Itch. Like much of our trip, our timing seemed to be just about perfect; and we arrived at the theater at almost the same time as our tickets did. 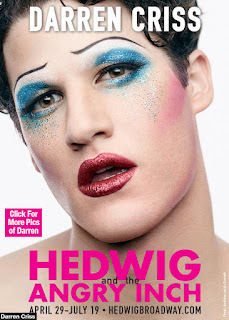 Well... one of the reasons I picked Hedwig and the Angry Itch was because Darren Criss (from Glee!) was starring in it. I'm pretty sure Kathy and I weren't the target audience for this show, but I really enjoyed it. I was absolutely blown away by the performances, and it definitely goes down as one of the most unique shows I've ever seen. It was a fantastic way to end our last night in New York. Kathy and I managed to sleep in a little on Saturday morning. My train was for 10:52, so we had time to grab breakfast. We found a little deli near our hotel called Bread & Company and decided to try it. Not only did we have a really good omelet for breakfast, but I ended up getting a sandwich to-go for my train ride home. It was with more than a little sadness that Kathy and I headed back to our hotel after breakfast. Even though we "talk" every day, we love spending a few days with each other. And since BEA is in Chicago next year, neither one of us is planning on going. We are determined to find some way to visit with each other next year -- maybe it will even include books, New York, and Broadway musicals! I had a very uneventful train ride home. I finished THINGS YOU WON'T SAY (hint: it's really timely and good! ), and I started THE SIGNATURE OF ALL THINGS for my June book club. As sad as it was to say good-bye to both BEA and Kathy, I knew I had some special people waiting for me... and that certainly made it easier! What a great recap! Since BEA is in Chicago next year, maybe we bloggers can get together in NYC for bookish and Broadway fun. That would be perfect! We really need to plan that! Great recap. It was so much fun seeing you geek out about Maria - I actually think you made her day. Parting is always sad but I'm up for books and Broadway next year! I'm always so sorry to say good-bye everyone ... I'm thinking of going to Chicago, but I may also have a chance to get back to Denmark. Soooooo, we shall see.